With the busy Christmas season out of the way, we are now delighted to unveil the latest phase of our major reservations project! Last year we launched the ability to create and manage reservations in Cloud, and then we added the ability to action those reservations on EPoS. 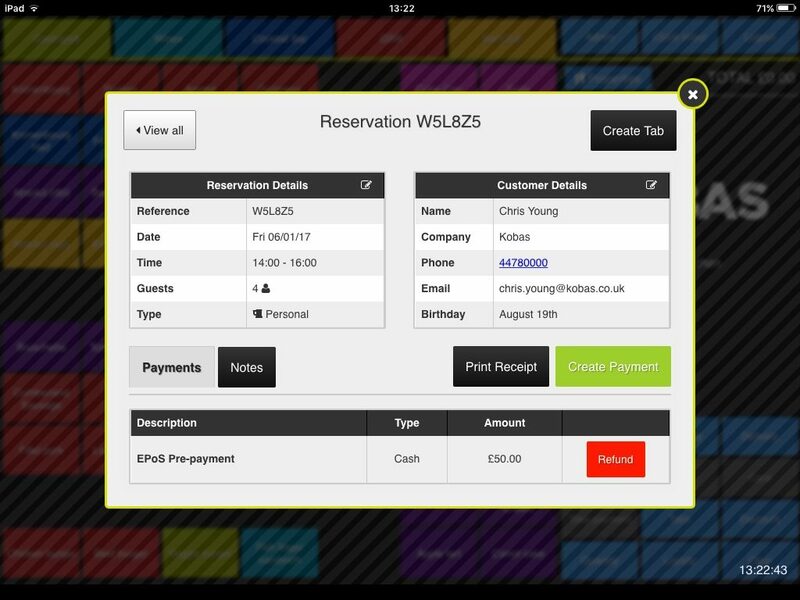 The star of this update is the ability to create and edit reservations directly on your EPoS, meaning your venue staff can seamlessly manage the whole process right from the front line in your venues. Now your team can effectively deal with customers in your venues who’d like to make a booking – all direct from your EPoS, so no separate terminals required. Guest details can be added, or retrieved if they’re a returning visitor, and it’s quick and easy to enter to the reservation details. You can even add notes and tags as applicable. Along with logging your reservations, you can now add and refund any associated deposits directly from your EPoS. This can all be done on the spot, helping you provide a joined up and professional service for your guests and keeping your payment reconciliation tight. Unfortunately on occasion your guests may not arrive, despite having previously made a booking. You now have the ability to mark a reservation as a no-show, and any associated deposits will be counted as redeemed and added to your venue’s end of day figures. At the end of each day, you’ll need to deal with any outstanding reservations in order to keep your records and tax compliance tight. 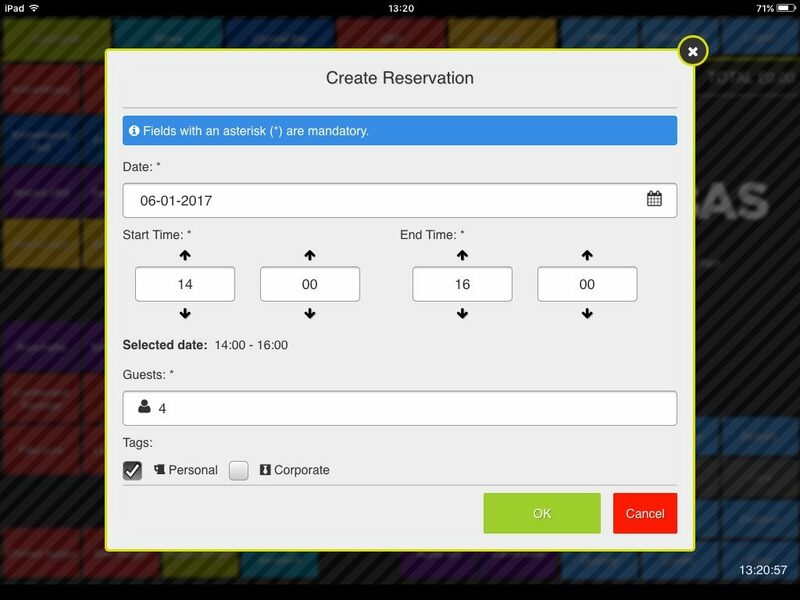 To deal with an outstanding reservation, you can add it to a tab, mark as a no-show or edit its date to be in the future. This must be done before your current till session can be closed. Before now, when using Kobas Cloud to add a deposit to a reservation, the payment amount was not being allocated to any particular venue’s cash logs (though they’d later have to honour its redemption). To tackle this, we’ve updated the behaviour so now when you use Cloud to add, edit or refund a deposit on a reservation, you’ll see an entry in the end of day cash declaration for the relevant venue and it will contribute to their totals for the day. This one has come about as a result of your feedback. Some of you want to continue running a third party booking solution alongside Kobas, but want to avoid the risk of double emailing your guests with reservation notifications. As such we’ve developed the ability to switch off all reservation confirmation emails in Kobas. These updates will be rolled out over the course of this week, so you should see the new functionality arrive in your venues soon. For more details on how it all works, see our guide or get in touch. As you can see this is another major step forward for our EPoS application, but we’re not finished with reservations yet! We’ve got pre-paid add-on packages and detailed reporting in the works, so keep your eyes peeled for updates on those soon. Not using Kobas yet? Drop us a line to find out just how many areas of your hospitality business we could help you improve!